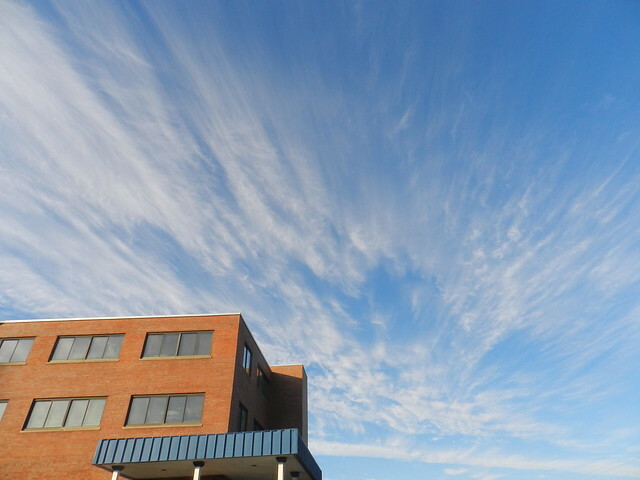 The past couple of days the wispy clouds have been dancing. Almost like veils swirling across the sky. 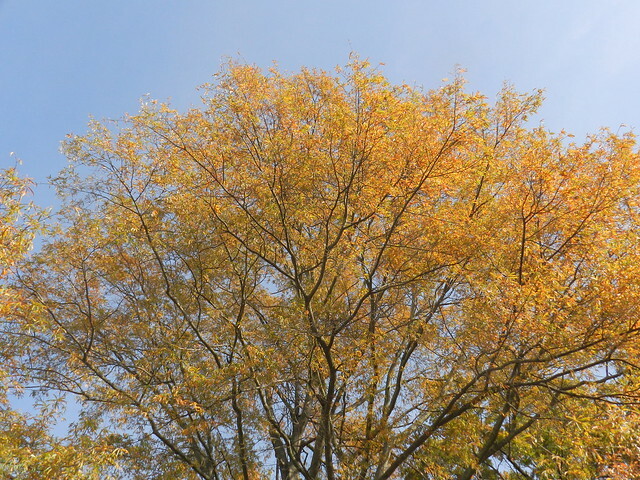 The leaves are dropping fast with the cold and wind. Some trees that changed late never got much color just turned brown and dropped. We've had a pretty fall so I'm not complaining it's just an observation that some trees changed late and then the leaves dropped but plenty of others gave a pretty display. I love late afternoon light this time of the year. I like your analogy of the veil. 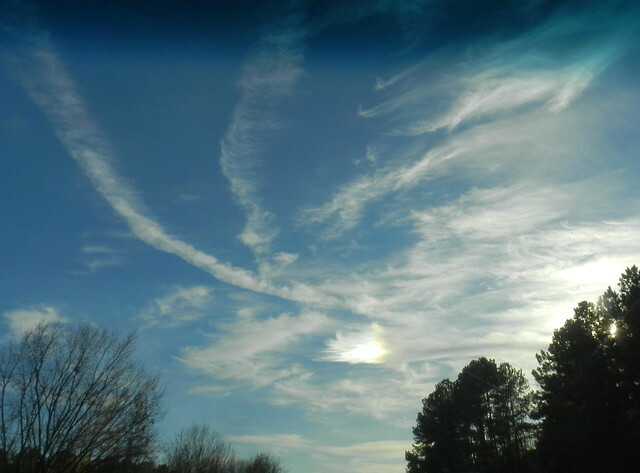 It is easy to see long-flowing and iridescent bridal veils in your skies, Carver. beautiful cloudscape, i love em wispy too. Oh, these are awesome, Carver!! We've had quite a few of these wispy ones, too, and I love them! Thanks for sharing the beauty and have a lovely weekend! 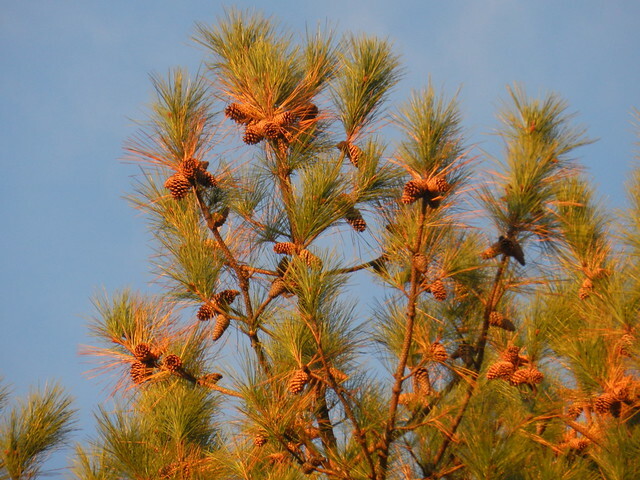 I really like the contrast between the pine cones and the sky beyond. Very nicely done. Beautiful skies. I really like the one where the cloud looks like a delicate feather. Very unusual! The bunches of cones on the tips of those branches look like the tree is decorated for Christmas! All so pretty ... Still lovely Autumn in your area! 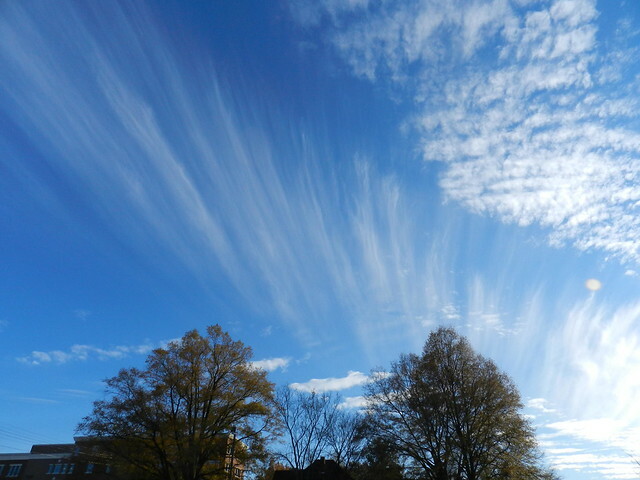 Hi Carver, love those wispy clouds and fall colors, great combination, great photos. I could hear their swish and swosh. Great skies! your photographs are beautiful! 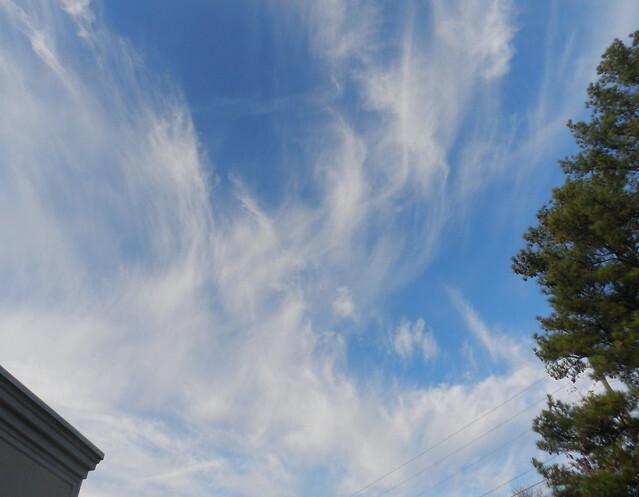 I love wispy clouds; they're almost dreamlike and you captured them so beautifully. lovely photos!! Love those clouds in the shot below the yellow-leaved tree. The golden light in the last shot really warms up the branch.